What makes a good weight loss program? Well, I like to think of weight loss as a result of a healthy lifestyle and not a diet, so any program that helps you make lifestyle changes is a good start. By now you know I don’t like using the word diet because diets are temporary and do not give lasting results. I mean let’s face it no one likes gaining the weight back, It is very frustrating and completely shames every diet out there. A good weight loss program should also have no food restrictions, Food is life and I believe there is a healthy version for any kind of food out there. So anything that restricts you from enjoying certain foods as opposed to making it flexible for you is a no-no. A good workout program should have workouts that can be done anywhere at any time, with for beginners to advanced. People sometimes get to busy and want to put in a quick workout, so any program should be able to provide that because as we know being active is very important when trying to lose weight. Accountability. I don’t know how many programs out there exist and after you make the payment, everything is left in your hands. A good program should be able to help you through the program to ensure that you reach your goal and to help motivate and cheer you on because we all know you need that sometimes. There are so many things that a good program should have like, community, provide a safe place for its users to come to in case they need help and support, it should be easy to follow, offer nutritional help, it should also be sustainable. Weight Loss From Scratch. This is a highly interactive online weight loss program/course designed to help you every step of the journey. You get everything mentioned above like personalized meal plans, workout videos, daily accountability, nutrition tips and so much more. Noom Coach. 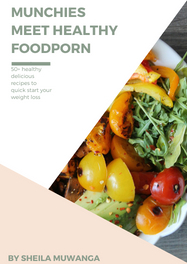 This is an amazing do it yourself weight loss program where you set daily reminders to help you keep track and log your food, daily tips, you can also log your workouts but unfortunately, they do not have workout videos still pretty awesome. Weight Watchers. This is an oldie but goodie, they too have no workout videos on their site but give out very food and nutrition advice and have been around for a while so they have a large community of people. My Fitness Pal. This is a great tracking app for both meals and exercises. It is very affordable that you can do yourself, So if you are a disciplined person and knows how to stick to a plan, this is a perfect alternative. Nutrisystem. This is a very helpful app with making food and nutrition choices as it has prepackaged meals you can follow but also doesn’t help much with exercise. I hope this helped you make a good decision before joining any weight loss program. Don’t forget to always stay motivated, be patient and trust the process.